Board of Education Chairman Mike Barbis attended a Monday training session to become a mentor to a Norwalk Public Schools student. “I have always participated in the Read Across America event – this year I did so again and read at two schools that day. Norwalk’s Mentor program is the first school-based mentoring program in the country, according to a Monday recent press release from the Human Services Councils (HSC). Staffers match “adult mentors to students in the Norwalk Public Schools. The pair meets for one hour a week, at school, to share fun activities and conversation,” the statement says. HSC has hired Hannah Knox, a Queens, New York native and a long-time Norwalk resident, as program coordinator and support to Program Director Nancy Pratt, the release also said. Anthony DiLauro, Executive Director of the Human Services Council, noted that the mentoring approach helps to address chronic absenteeism and problem behaviors. The Norwalk Mentor Program is one of “five life-changing programs” offered by the Human Services Council, the release states, listing the Children’s Connection, Dr. Robert E. Appleby School-Based Health Centers, Substance Abuse Prevention, and Supportive Housing programs. “The mentor teaches the student social skills, encourages positive choices, promotes high self-esteem, supports academic achievement and introduces the mentee to new ideas. … The mentor serves as a role model and becomes a special, supportive adult in that young person’s life; sometimes the only stable adult role model for the child,” the release states. New London Public Schools’ effort to improve its food offerings has garnered national attention via a CBS Sunday Morning segment that features former Norwalk Superintendent of Schools Manny Rivera. The story focuses on Chef Dan Giusti’s plan to “fix America’s school lunches” and the results in New London, where Giusti has introduced world cuisines not typically associated with student cafeterias. “If we can’t eat it, we shouldn’t serve it to our kids,” Rivera says. “We had one comment, I think it was, ‘Boy, the next thing you know Rivera will be getting limousines for the students!’” Rivera says in the clip. The segment also tells of an Top Chef-style competition to determine what new and exotic dishes would be added to the menu, with students helping to judge. 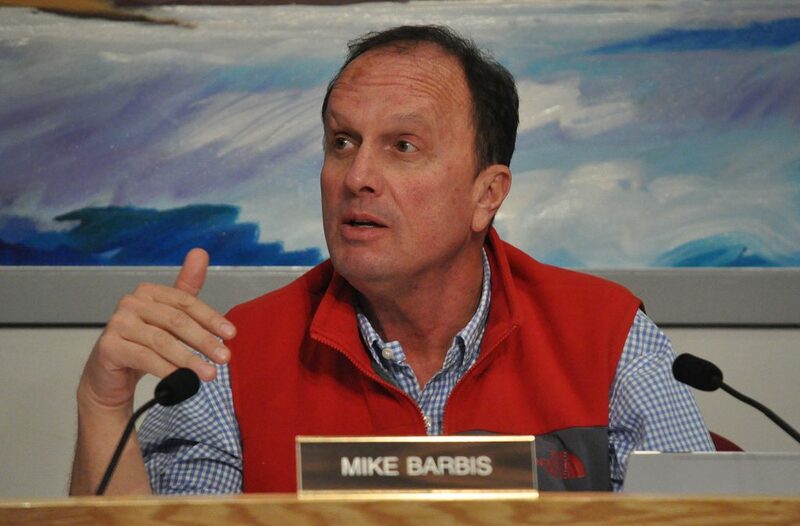 kudos to Mike Barbis for his service to the community. I don’t always agree with him, and the NAACP issue was IMHO foolish, gratuitous and hurtful, but he is putting in hours as a BOE member and now helping one on one as a mentor. .